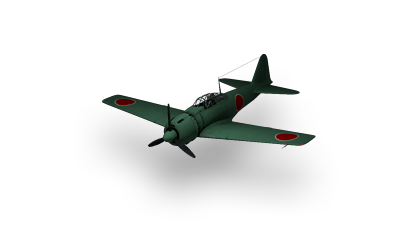 Early in the Pacific War, the A6M was the world's most capable carrier-based fighter, which gave Japan air superiority. 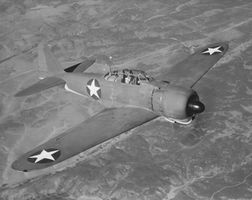 While the Navy was testing the first two prototypes of A6M1, they suggested that the third be fitted with the 700 kW (940 hp) Nakajima Sakae 12 engine instead. Mitsubishi had its own engine of this class in the form of the Kinsei, so they were somewhat reluctant to use the Sakae. 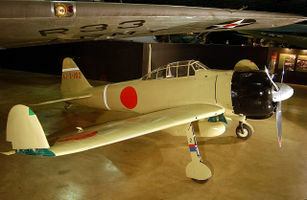 Nevertheless, when the first A6M2 was completed in January 1940, the Sakae's extra power pushed the performance of the Zero well past the original specifications. The new version was so promising that the Navy had 15 built and shipped to China before they had completed testing. They arrived in Manchuria in July 1940, and first saw combat over Chungking in August. There they proved to be completely untouchable by the Polikarpov I-16s and I-153s that had been such a problem for the A5Ms currently in service. Success of A6M2 made Navy immediately order the A6M2 into production as the Type 0 Carrier Fighter, Model 11. Reports of the Zero's performance filtered back to the US slowly. There they were dismissed by most military officials, who felt it was impossible for the Japanese to build such an aircraft. 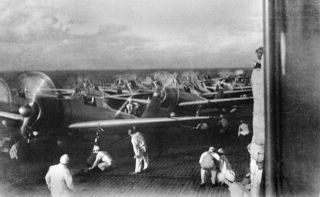 After the delivery of only 65 aircraft by November 1940, a further change was worked into the production lines, which introduced folding wingtips to allow them to fit on aircraft carriers. The resulting Model 21 would become one of the most produced versions early in the war. A feature was the improved range with 520lt wing tank and 320lt drop tank. When the lines switched to updated models, 740 Model 21s had been completed by Mitsubishi, and another 800 by Nakajima. This page was last modified on 9 March 2019, at 18:27.